Background/Purpose: There is significant variation in the timing of when biologic medications are started during initial treatment for polyarticular juvenile idiopathic arthritis (P-JIA) in clinical practice. The Childhood Arthritis and Rheumatology Research Alliance (CARRA) developed three consensus treatment plans (CTPs) that reflect the most commonly-used strategies for when to start biologic treatment. The CARRA Start Time Optimization of Biologic Therapy in Polyarticular JIA (STOP-JIA) study is comparing the effectiveness of the three CARRA P-JIA CTPs using a prospective, observational study design and aims to enroll 400 children. It is expected that enrollment will be completed in July 2018. This abstract describes interim baseline characteristics and CTP choices for the patients enrolled. Methods: Untreated P-JIA patients with 5 active joints were enrolled into the CARRA Registry at the time of treatment initiation. Providers and patients together chose one of the CTPs to follow: 1) Step-Up treatment (initial therapy with DMARD and biologic added after 3 months, if needed); 2) Early Combination (initial therapy with both DMARD and biologic); and 3) Biologic First (initial treatment with biologic monotherapy). Providers had the option of prescribing glucocorticoids at baseline per their usual practice. Glucocorticoid tapering suggestions were provided. Results: Three hundred and fifty-two patients were enrolled at 43 sites in the US and Canada between 1 Nov 15 and 22 May 18. Data for the 335 patients with baseline data available are summarized in Table 1. The most commonly chosen CTP was Step-Up (n=218; 65%). Early Combination CTP was the next most common choice (n=84; 25%). To date, 823 follow up visits have been entered and 152 patients have completed their 12-month endpoint visit. Of the patients with follow-up data available, 31 patients were reported to have changed CTP at least once during STOP-JIA participation. There were 26 Serious Adverse Events (SAE) or non-serious Events of Special Interest (ESI) including 7 cases of new onset uveitis, 8 infections, and 3 episodes of hepatitis. Conclusion: With > 85% of patients enrolled to date, patients have been enrolled into all 3 CTP choices, with the Step-Up CTP being the most common. Ongoing, prospective data collection from these patients will allow for a comparison of the effectiveness of the strategies. Disclosure: S. Ringold, None; G. A. Tomlinson, None; P. F. Weiss, Lilly, 5, 9; L. E. Schanberg, SOBI, 2,Sanofi, 9,UCB, Inc., 9; M. E. Riordan, Childhood Arthritis and Rheumatology Research Alliance, 2, 9; A. C. Dennos, None; V. Del Gaizo, Childhood Arthritis and Rheumatology Research Alliance, 2; K. Murphy, None; B. M. Feldman, None; Y. Kimura, Novartis, SOBI, 9. Ringold S, Tomlinson GA, Weiss PF, Schanberg LE, Riordan ME, Dennos AC, Del Gaizo V, Murphy K, Feldman BM, Kimura Y. The Childhood Arthritis and Rheumatology Research Alliance Start Time Optimization of Biologic Therapy in Polyarticular JIA Study: Updated Report of Baseline Patient Characteristics and Treatment Choices [abstract]. Arthritis Rheumatol. 2018; 70 (suppl 10). 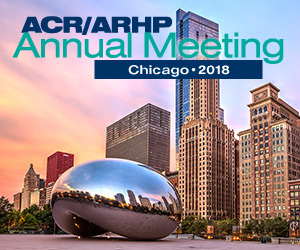 https://acrabstracts.org/abstract/the-childhood-arthritis-and-rheumatology-research-alliance-start-time-optimization-of-biologic-therapy-in-polyarticular-jia-study-updated-report-of-baseline-patient-characteristics-and-treatment-choi/. Accessed April 18, 2019.